Career Solutions was brought into a major strategic initiative in retail banking for a large regional bank ($120 billion in assets). One part of the project was a talent upgrade for Branch Managers which involved targeting high deposit competitor branches ($50 million deposits or more) to interview their branch managers against a "Dominator" profile developed by the corporate human resources team at the bank. The second phase of the initiative was the roll-out of a new position in retail banking, the Licensed Financial Consultant (LFC). We were very successful with both projects and probably received more accolades about the "Dominator" recruiting than the LFC recruiting. 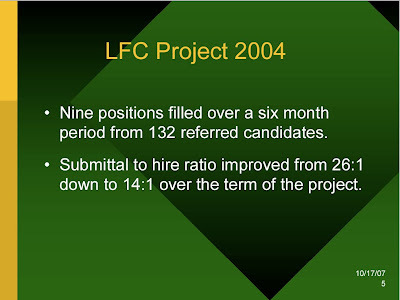 But, the LFC project was actually much more challenging (than our client realized) and we delivered incredible results in terms of actually hires in Indianapolis and Chicago. 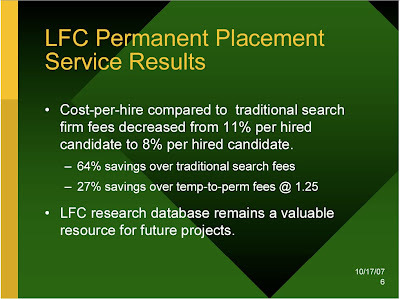 Our cost per hire was a major achievement, especially considering the quality of LFC candidates we were able to bring in for the bank's employment team. 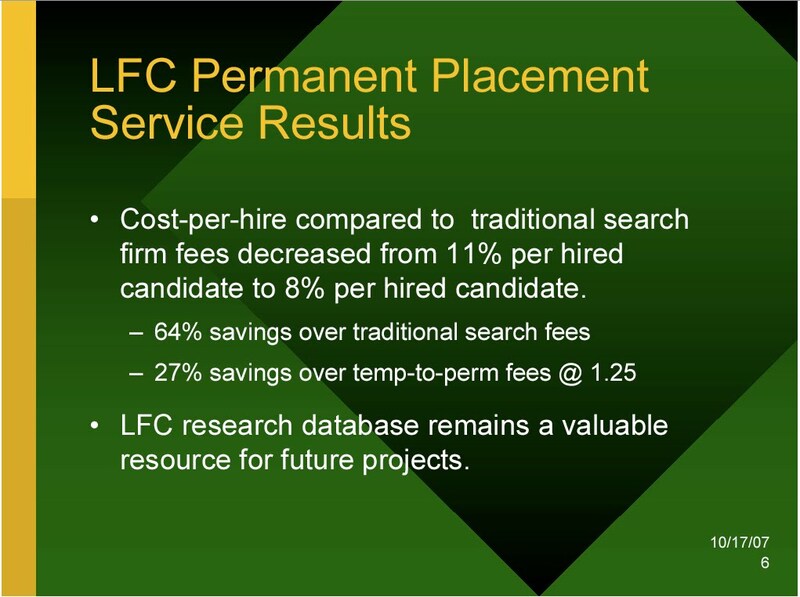 The key to our efficiency and cost savings passed on to our client was in our up front research. The bank was requiring that finalists must already have their Series 6 and 63 investment licenses for mutual funds, annuities, and life/health insurance sales. We were able to identify only potential candidates who already had those licenses, allowing us to focus on the other critical competencies for the position. 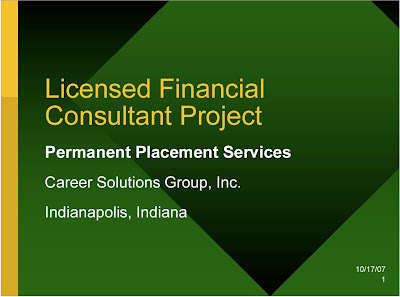 Ultimately, we filled about 15 of the positions in a seven month period in branches near Louisville, throughout the Central Indiana area, and in the Chicago market which was new to the bank. 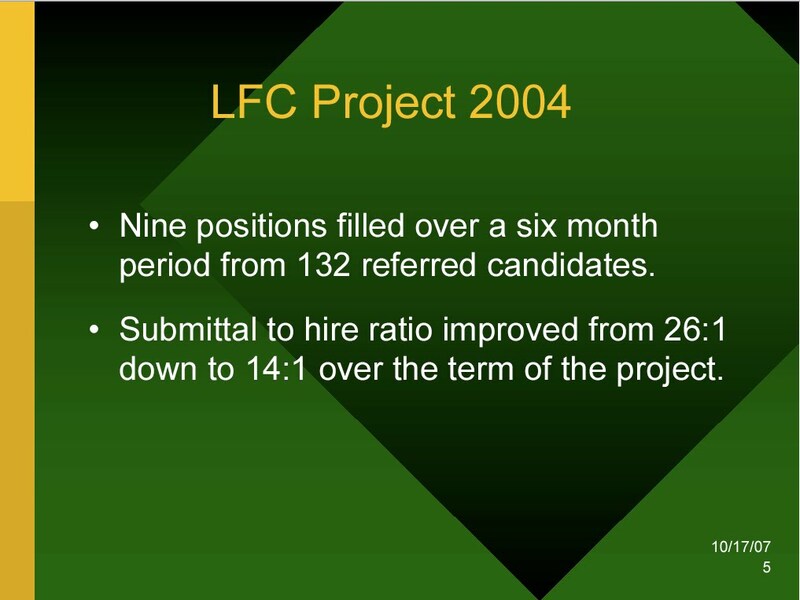 We were able to focus on the same performance competencies for the LFC candidates that we were focusing on with the "Dominator" profile for top branch managers. While the bank was very excited to land high performers in a new position within the retail division of the bank, it probably created problems. These high performers, used to working on incentives, quickly came into their new bank branches and realized the fastest way to exceed sales goals and earn a bonus was to "flip" the branches deposits over into annuities and mutual funds. The new LFCs really hit the ground running and began raiding the bank's deposits to meet their goals. This under-cut not only the branch managers but also the bank overall since some of the investment products promoted were outside the institution. Senior management quickly realized the problems and restructured the goals and incentives for these new LFCs.